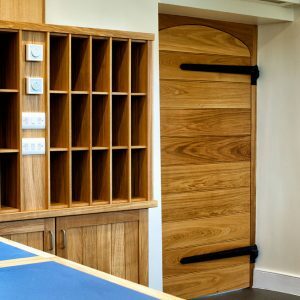 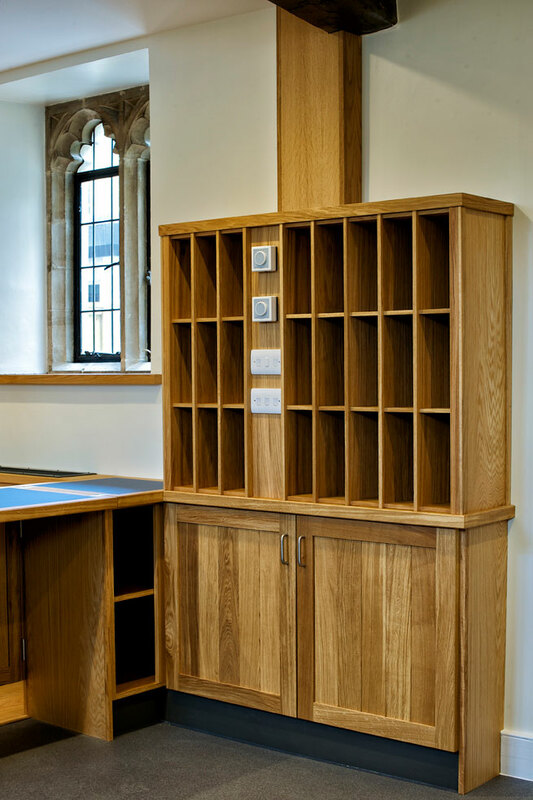 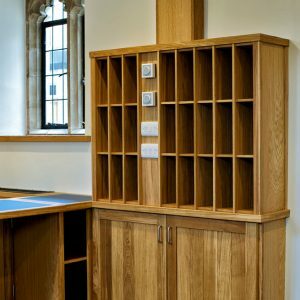 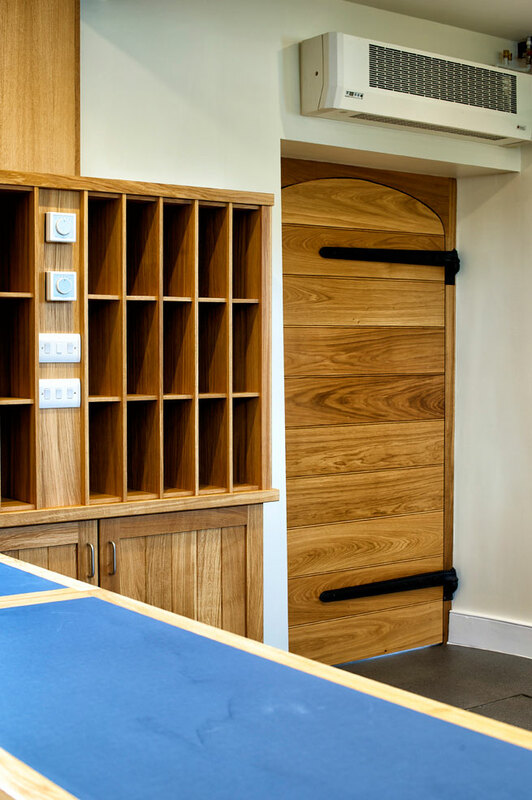 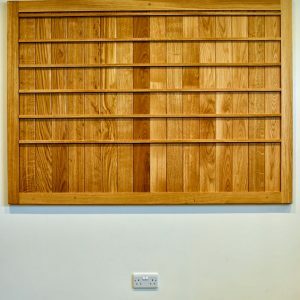 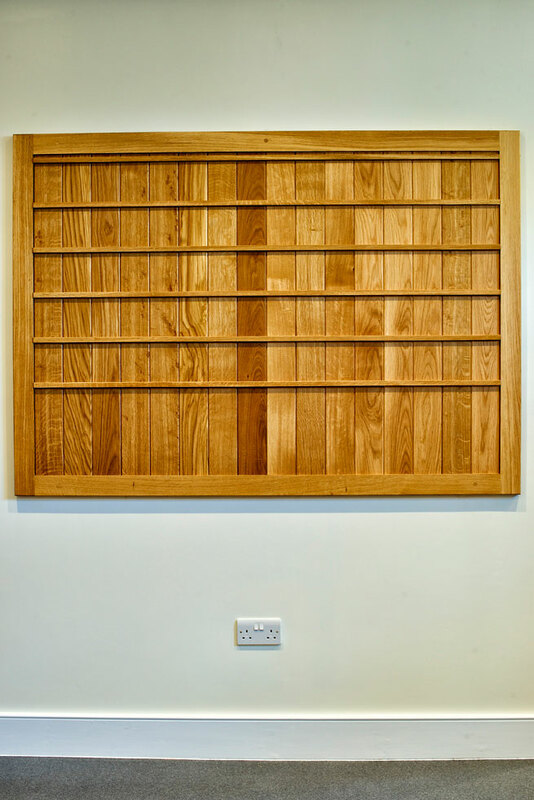 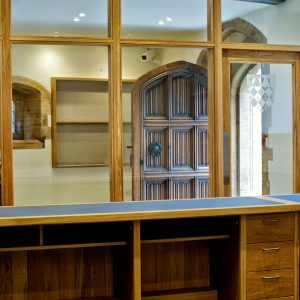 The project consisted of the internal reconfiguration and refurbishment of an existing porter’s lodge within a college situated in central Oxford, including the manufacture and installation of bespoke oak glazed screens, pigeon holes and counter tops, all of which were designed by the Architect and manufactured by our own in-house joinery division. 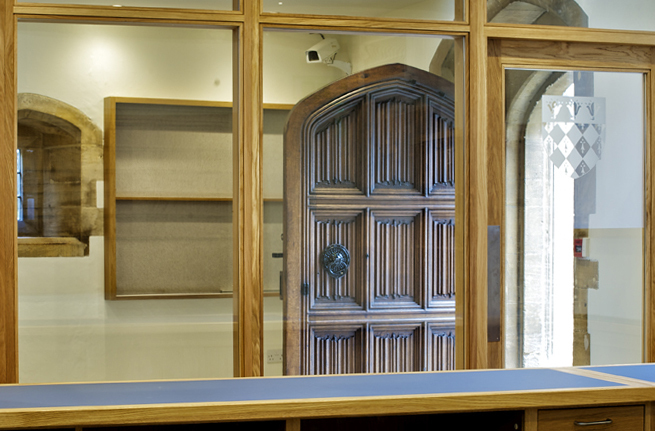 A new, controlled visitor circulation format was incorporated by means of integrating metal gates and railings. 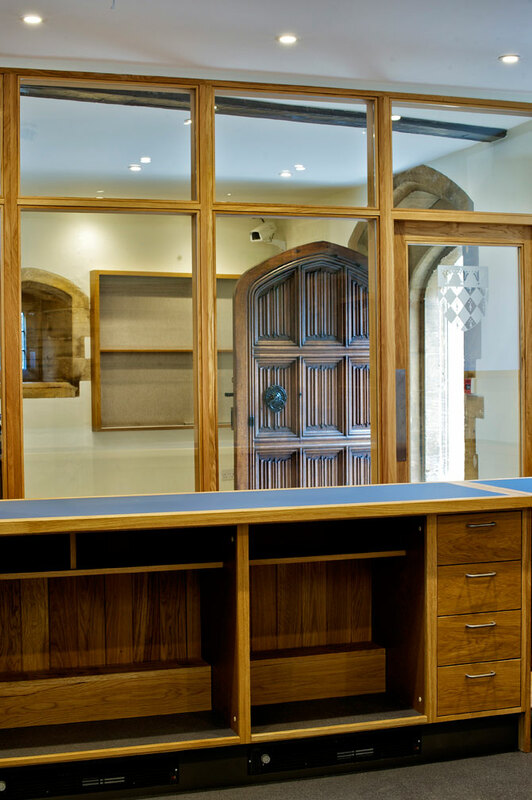 Ancillary works included new storage areas, improved staff welfare facilities, reopening of a blocked external doorway, alterations to heating and electrical services, and reinstatement of security, fire and access systems by college specialists on completion of general works.